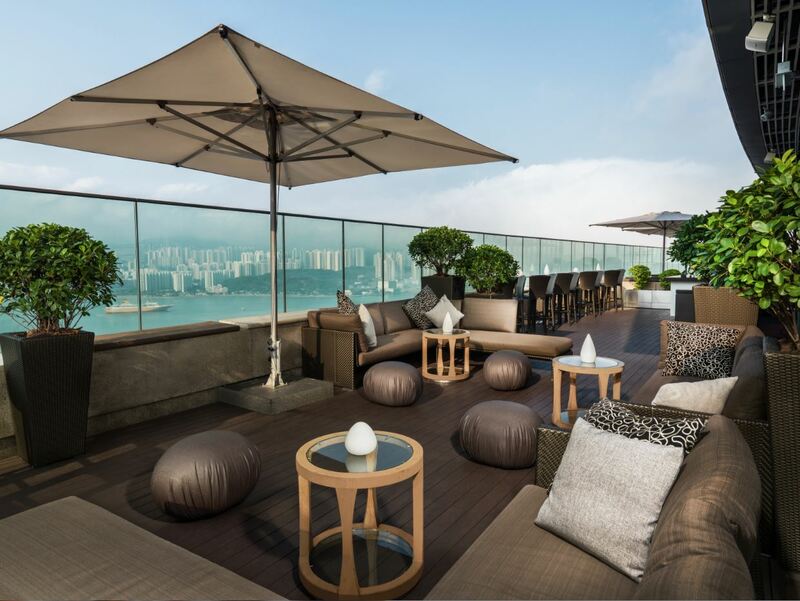 Sugar (Bar.Deck.Lounge), the rooftop bar on the 32/F of EAST, Hong Kong, is introducing two themed promotions to welcome this summer for our guests to truly enjoy a relaxing, breezy day this season. Sugar will transform into a small island on the Mediterranean Sea every Tuesday from now to 29 August. Inspired by countries around the Mediterranean, Sugar will feature eight special cocktails including Bacon Negroni, Cypriot Punch, Kir Royale, Matador, Turkish March, Atlantis, as well as Mediterranean Sky and Sangria, which are served in jars best shared by two persons. Guests who enjoy four glasses of our special Mediterranean cocktails or two sharing jars will receive a complimentary Mediterranean pizza. A blend of “Flamenco/Costa lounge” together with “Oriental vibes” with Saharan and Oasis flavours will be played by our house DJ throughout the night. 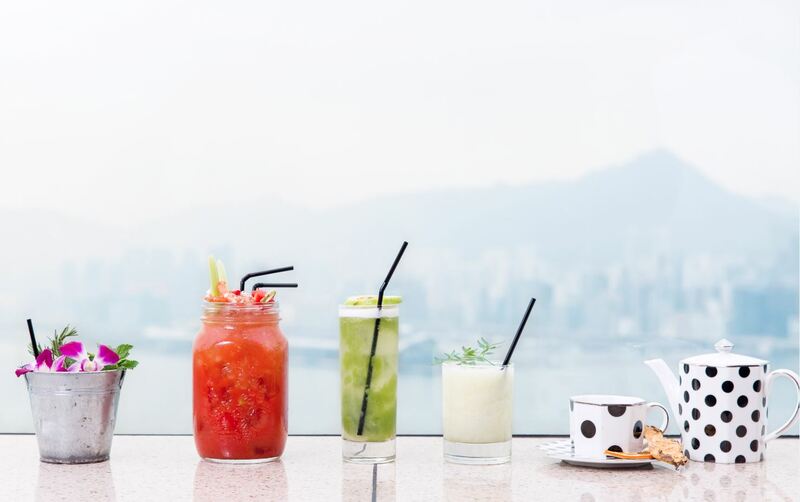 Each glass of the special cocktail is priced at HK$100*, while a sharing jar for two at HK$195*. 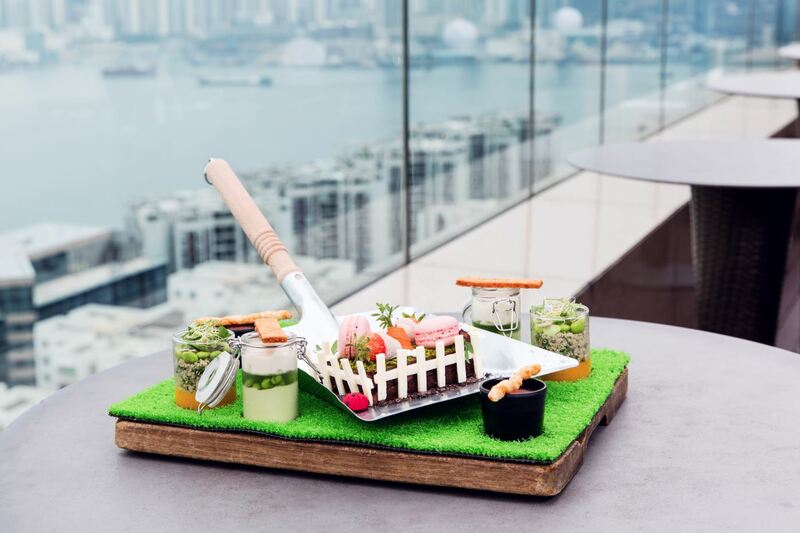 With the growing concern of harmful chemicals and altered foods, EAST, Hong Kong has been growing its own natural herbs for over a year to show support for the use of fresh and sustainable ingredients aimed at promoting a healthier lifestyle. In 2017, the hotel has brought it to a new level by planting not only herbs, but also vegetables including cherry tomato, eggplant, okra, lettuce and more. Sugar is utilising naturally grown crops from the EAST Urban Garden to create limited sets of afternoon tea every Sunday from 28 May to 15 October. The afternoon tea features refreshing savoury items such as Layered Super Food Salad, Cherry Tomato Gazpacho, Pea and Mint Mousse. Enjoy the Edible Garden, which is made with chocolate mousse, to indulge your sweet tooth. 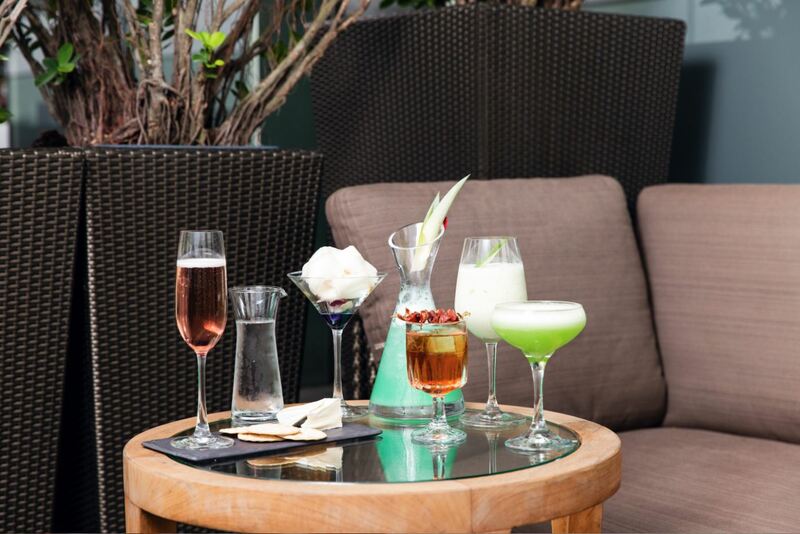 The tea set will be accompanied by a choice of refreshing cocktails, including Energy Garden, 5 Green Collin and Healthy Fountain (for two to share). Frozen Grassland and Spirit Tea are perfect options for those who enjoy sober moments under the sun. The afternoon tea set is available from 2:30pm to 6pm on Sunday at HK$388* for two. For reservations, please email reservations@sugar-hongkong.com or call on (852) 3968 3738.